This torch is made of bamboo and a cattail head. Note the well (partial internode) that the cattail sits in—it is full of olive oil. I have subsequently used rendered bear fat successfully (thanks Sue!). 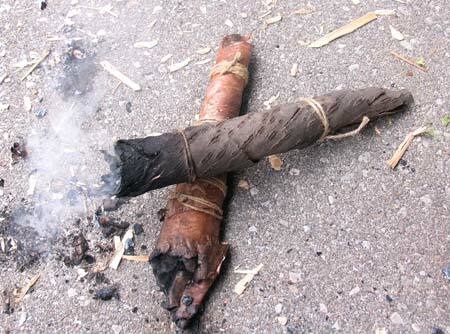 Here are two bark torches. The one on the bottom is made from White Birch and the one on top is made from Cherry. Torches in this section made by "Doc". 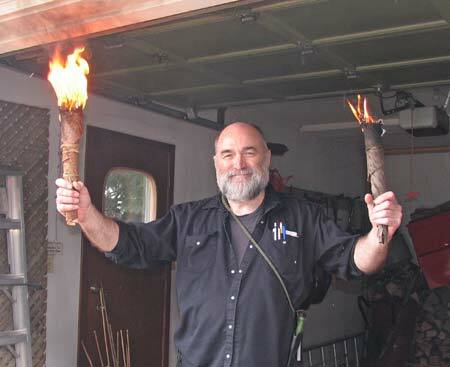 Doc demonstrating the two torches in action (White Birch on left, Cherry on right). Watch out for the garage door, Doc! 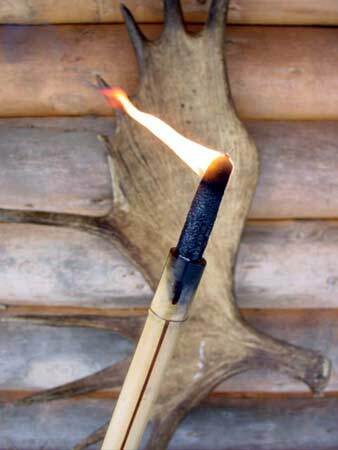 Torch made from White Birch bark. 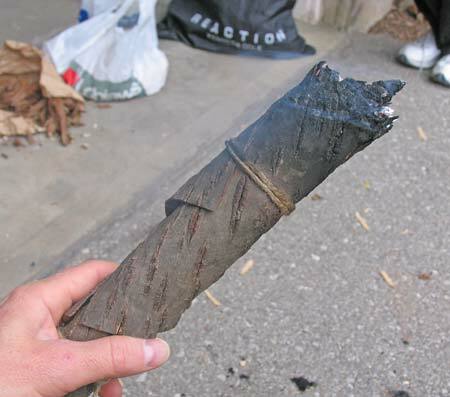 The bark is rolled up and tied with string (cordage). Torch made from Cherry bark. 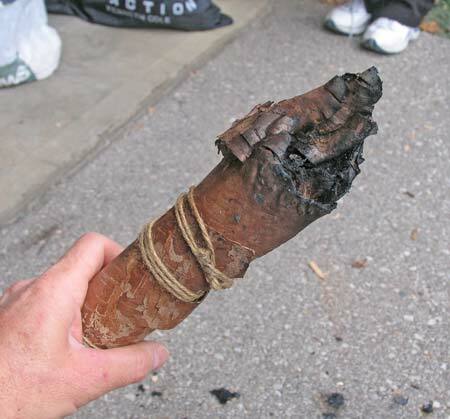 Again, the bark is rolled up and tied. It needs to be tied twice, once at each end, so it will stay together when the cordage nearest the top burns through.